When the conversation drifts towards hiking, most folks imagine lacing up some clunky and cumbersome hiking boots before hitting the trail. A small clan in the hiking community, however, scoffs at this concept and prefer to slip on their lightweight hiking sandals for a day on the trail. I’m not talking about those flimsy thong flip-flops that you probably have! We’re talking sandals specifically designed for the rugged and uncomfortable trail that can give your feet a break from boots! Swapping your boots for sandals can up your hiking game in many departments. From a nice cool airflow to lighter footwear and easy water crossings, sandals have a definite place on the trail! We took full advantage of ours while hiking in Wadi Rum. The famous park has lots of deep sand that would quickly fill up hiking boots, however, with hiking sandals, we were able to go from sand to hard rock with ease. For those of you flirting with the idea of switching, or who are already looking for your first pair, we’ve compiled the top considerations when shopping for high-quality hiking sandals. Take a quick look at these points to get your bearings, then move on to our comprehensive list of the top hiking sandals on the market to give yourself, and your feet, a special boost while hiking! When it comes to extreme comfort wrapped up as a trail sandal, the Chaco Z/Cloud has everything you need. 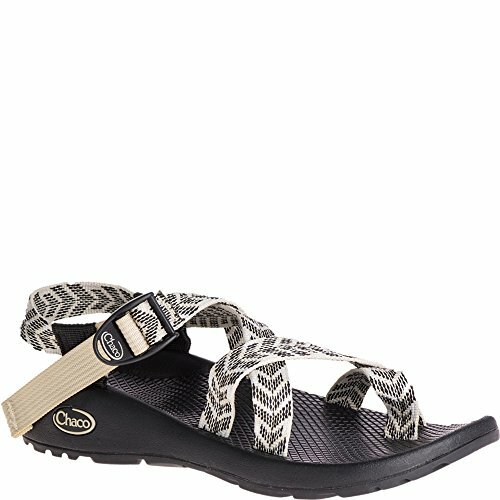 Chaco’s ‘Luvseat Footbed’ provides an incredibly soft cushion layer that keeps your feet happy all day long. 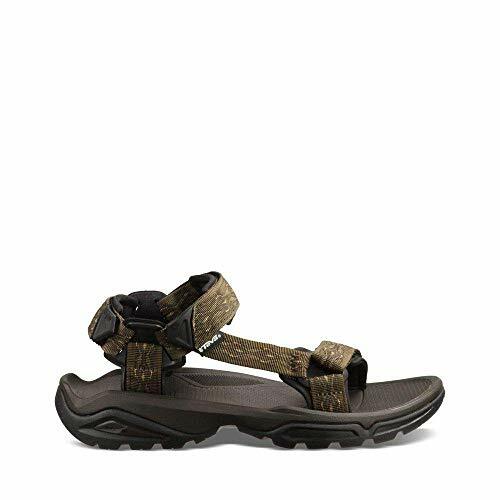 This is complemented by additional padding in this model, along with excellent arch support, to make a top-notch hiking sandal. This particular sandal falls into the open-toe design, and will therefore work best in very flat or sandy environments. As an added benefit, the sandal has an anti-microbial coating to keep those nasty foot odors at bay after a long day of hiking. Astral offers a solid and straightforward hiking sandal in the Rosa. Very minimalist in terms of straps, size, and weight, the Rosa nevertheless provides excellent traction and support for a long day of hiking. The traction is due to the Granite Grip outsole design that maximizes friction and minimizes gunk build up. 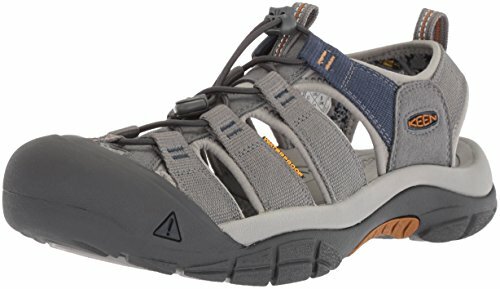 Many users report that these sandals provide reliable traction on anything from mossy rock to mucky trails, and are a trusted hiking companion. What’s more, the sandals are adjustable and can be converted into standard flip-flops in a flash. 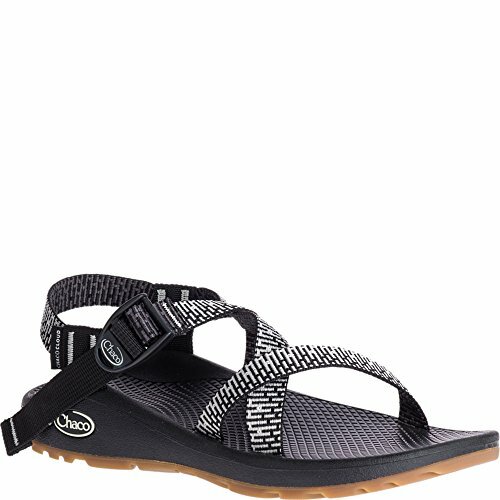 Yes, another Chaco sandal has made it into our best hiking sandals roundup, in the form of the Chaco Z/2. 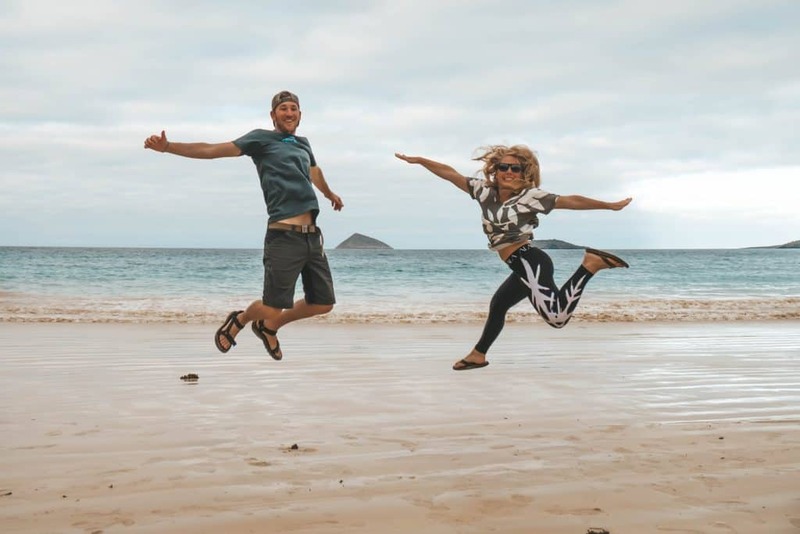 Optimized for wet and slippery conditions, these sandals are the trusted footwear for many adventurers and have been admitted by Backpacker Magazine into their hall of fame. These sandals come with the standard ‘Luvseat Footbed’ for a comfortable ride, along with the ‘Chacogrip’ outsole for improved traction. The outsole has been optimized on the Z/2 for wet traction and we therefore recommend it for hiking in very wet conditions or areas involving several river crossings. While the open-toe design does exclude it from more intense hikes, these sandals are hard to beat on low-key and small-scale hikes. Find Women’s Here! Find Men’s Here! KEEN has been in the sport footwear business for some time, and their expertise shows in the Newport Hydro. As you may have guessed from the ‘hydro’, this sandal is designed for use in wet conditions, and that is where it shines. From a durable water repellent, to the Cleansport NXT odor control, to the sticky rubber outsole, these sandals are born to conquer water. All these features combined with an anatomically designed footbed for optimal comfort make it an excellent hiking choice. The closed-toe design additionally makes these sandals ready to take you anywhere. Keen’s Whisper line sports a specially designed EVA footbed to provide a comfortable platform for your hikes, while continuing to support the closed-toe design for added protection during serious adventures. The hydrophobic mesh lining is blissfully quick-drying after rain, or even full immersion in a river. A non-marking rubber outsole provides ample traction for these amphibious escapades as well. 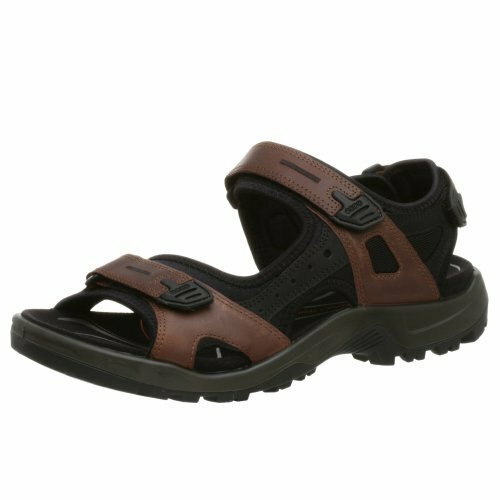 Be aware, however, this sandal does not provide the same amount of arch support as its cousin, the Newport Hydro, and is therefore best suited for folks who don’t require extreme support, or those going on shorter hikes. 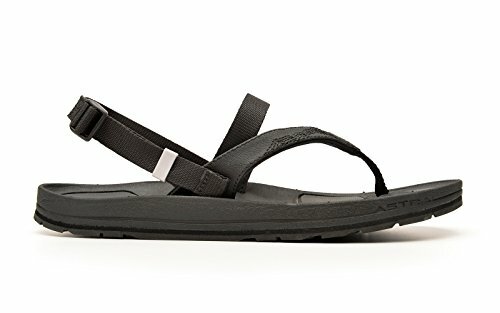 Teva owns a well-deserved reputation for producing some of the most rugged hiking sandals in the business, and the Terra Fi-4 is an excellent example. Constructed as a classic open-toe sandal, this footwear hides a few important tricks under the hood to make it a powerhouse on the trail. The outsole features Teva’s ‘Spider Original’ rubber which provides reliable and long-lasting traction in nearly every environment. The sole itself is cushioned with Teva’s ‘Shoc Pad’, giving superb heel cushioning for those long days on the trail. 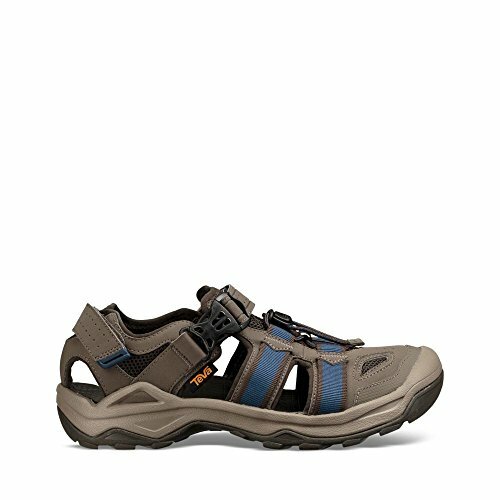 Durable and quick-drying polyester webbing and odor protection round off the ensemble for an excellent light hiking sandal. 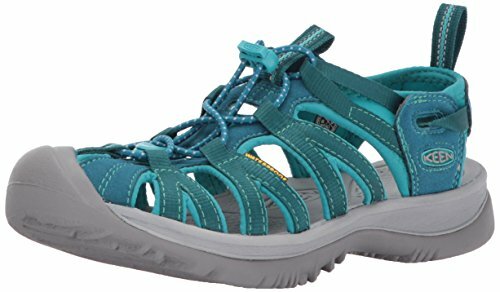 Perhaps you like all the features of the Teva Fi-4, but want to tackle some more ambitious hikes, and an open-toed sandal just won’t cut it. Enter the Omnium. Constructed with all the usual refinements we expect of Teva, the Omnium takes almost everything we need in a dedicated hiking shoe, and puts it in sandal form. The Velcro heel strap and plastic front buckle provide an excellent, snug fit to optimize your traction and limit foot slippage, while the beefy closed toe box provides all the protection you need to hit the rugged trail. 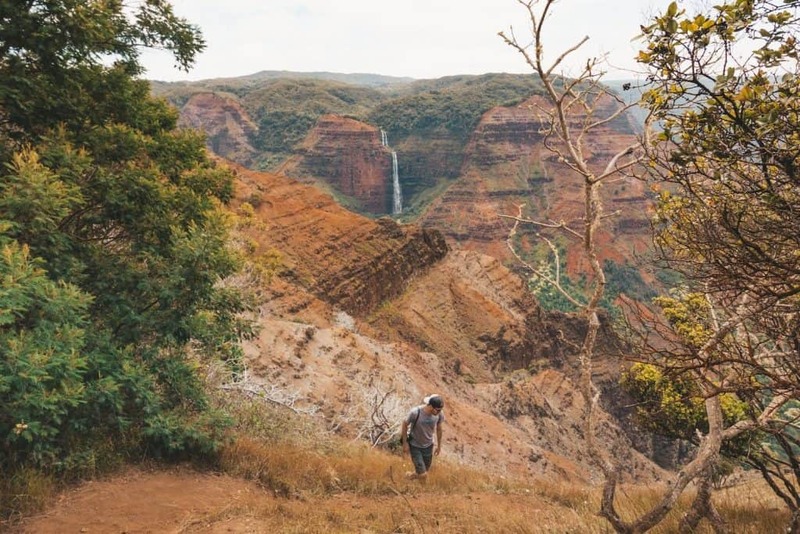 All of this is built upon the durable and sticky Spider Original outsole, for a sandal that is just on this side of a full-fledged hiking shoe. Ecco has provided a unique product for those on the hunt for heavy-duty support, but wish to maintain the light open-toed sandal approach. The Yucatan sandal is crafted from an exceptional blend of rubber and leather that gives your feet an incredibly plush and supple sensation, yet supports heavy use and traction. The three primary straps, two in front and one on the heel, add to this comfort by providing firm yet breathable support that lasts all day long. Ecco’s midsole ‘Receptor Technology’ adds to this comfort with a very supportive cushion to minimize the foot-ache that often accompanies prolonged hiking. Keen once again earns a slot in our hiking sandal lineup with their Uneek offering. These sandals sport an intriguing braided cord design that wraps around your entire foot, and is tightened/secured by a bungee lace. The wraparound cord design provides an incredibly comfortable fit as it applies equal pressure everywhere, minimizing hot spots. It also moves with your foot in any direction with next to no resistance, which almost creates the illusion that you’re not wearing any protective footwear at all. But of course, you are, and the high traction rubber outsole ensures you won’t miss a beat as you tackle the outdoors. While these sandals do cover the toes, the thin braided cord does not provide the same level of protection as a dedicated rubber toe box. We recommend you think of these sandals as open-toe when considering your individual needs and expectations. Like the Teva Omnium above, Merrell has taken all the key elements of a superb hiking shoe, and converted it into sandal form. The All Out Blaze Sieve boasts all-encompassing support and protection in a comfortable package that is only classified as a sandal due to the small slits on the side and heel for water drainage. The Blaze expedites this water drainage with a waxy waterproof upper fabric. Once you hit water, the sandal will immediately expel it and begin the drying process. As you may have guessed, the Blaze is therefore geared to water-intensive adventures, but don’t let that drive you away if you’re more terrestrial. The sandal sole is both comfortable and supportive to optimize your hiking, while the rubber Vibram outsole provides excellent traction over almost any obstacle. How on earth can a sandal give me the support I need on the trail?’ you might ask. Well, believe it or not, sandal manufacturers have gone to enormous lengths to give their sandals the arch support and cushioning you need to hit the trail. Granted, these sandals don’t have the same level of support that a boot offers in terms of ankle protection. It’s therefore very important to remember that not all hiking sandals are the same. It’s very important to look closely at potential sandals and get a feel for the type of support they’re offering. Especially keep an eye out for different types of arch support (low, medium, and high), as well as the amount of cushioning included, as this corresponds directly to shock absorption. We can’t give you a specific material or process to keep an eye out for, as most manufacturers have their own proprietary methods. Simply look closely for special attention given to midsole or heel cushioning and comfort, along with a polyurethane (PU) midsole for maximum longevity. Hiking isn’t always a fair-weather sport, and when that rain soaks the trail it pays to have a pair of hiking sandals that will keep their grip. You should therefore keep your eyes peeled for sandals that have been designed with wet conditions in mind. Keen is a perfect example of a manufacturer that pays special attention to water repellency and traction. In general, a Vibram rubber sole will hold up very well to the rigors of hiking, yet maintain excellent friction through all conditions. This is the same material that many intense hiking boots will utilize, and will help provide reliable traction on wet rock. It’s very important to consider the type of hiking in your future when scoping out hiking sandals. First and foremost, think about the climate. The warmer tropical or temperate environments are the ideal places to rock some hiking sandals. We loved having a pair of hiking sandals in Costa Rica and on the island of Maui. Hiking during winter in Minnesota? We recommend sticking to some insulated boots, or perhaps revaluating your life choices. Also, think about potential hazards along your way. Any possible threats to your feet in the forms of animals or landscape will play a huge role in the type of sandals you pick out, which brings us to our last point. The two primary sandal designs on the market are the open and closed variations, where your toes are either exposed or enclosed in a rubber or fabric cover. As we mentioned above, the type and location of your hiking is the deciding factor here. Are there poisonous snakes ahead? Is there an abundance of sharp/volcanic rock on your hike? If this is the case, we highly recommend opting for close-toed sandals in these, and similar, scenarios. The additional toe protection will provide a layer of security for your feet, but you can also enjoy the ventilation and lightweight benefits of sandals, so you get the best of both worlds. 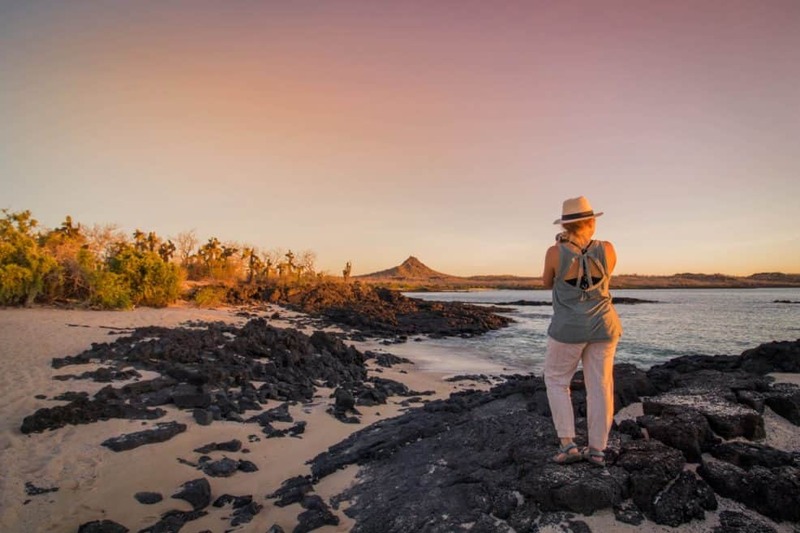 Open-toed hiking sandals are best kept for the safer environments of a beach or paved trail hiking, where the risk to exposed toes is minimal. Remember one of the primary axioms of hiking: better safe than sorry! One of the exciting points about hiking sandals is the newfound ability to boldly stride through water obstacles, and not worry about sodden socks and boots for the rest of your hike. To this end, it’s often useful to keep an eye out for sandals that are constructed from waterproof materials or have been given a waterproof coat. This, combined with the sandals’ natural ventilation, will expedite the drying process after any water encounters. You will be able to tackle any puddles, ponds, or rivers without worrying about a wet foot slipping and sliding inside the sandal or spending the rest of your day with wet feet. This was a great use when we cruising around the Galapagos islands which often required a water landing via boat. Now that we’ve covered our primary sandal consideration points, let’s move on to our handpicked list of the top hiking sandals on the market to get you started!